First of all thank you to Joy from Joyous Reads for sending me a signed copy of Omens! I enjoyed Omens more than I thought I would. Maybe it's because I read reviews and most of them said the same thing. They warned readers not to expect a lot of romance. 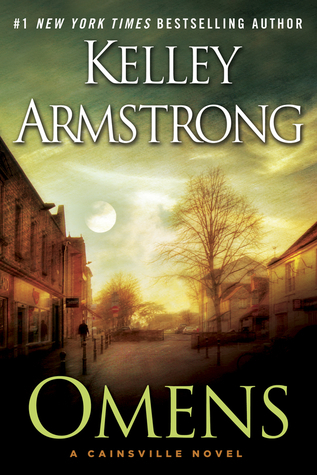 They also said not to expect Omens to be a typical Armstrong book. The paranormal aspect of the book takes a back seat for pretty much the whole time. There are hints here and there, but nothing ever gets explored in depth. But because I knew about this it didn’t upset me that much. Of course, I wish that some things were explained better but hopefully in the next book we’ll get some answers. I loved all the characters in Omens. They all have unique voices. Even the secondary characters were strong. I liked Olivia a lot. Once the truth was out about her birth parents she didn’t freak out or went running to her fiance or mom for help. She was very strong and fearless. I liked Gabriel also. I wanted something to happen between Olivia and Gabriel though. I know that’s the way the book was supposed to be written, but my romance loving heart was yearning for something, anything to happen. I knew nothing was going to happen, but God, they are so perfect for each other. 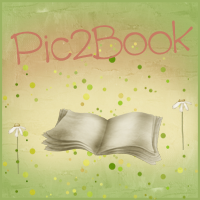 To me what made this book were the omens. I love the omens creepy meanings and the songs that would come to Olivia’s head out of the blue. I don’t know why this fascinated me so much. But I think my grandma has something to do with it. She's a very superstitious lady. That makes me and my whole family superstitious people. We believe in all that crap. All add some of her superstitions at the end of the post. 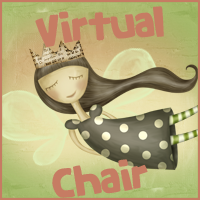 Omens was a very different read for me, and I loved it! I can't wait to read the next book in the series. 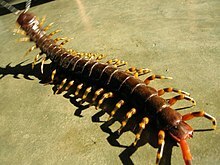 -There’s this giant centipede in Puerto Rico that’s venomous and aggressive. My grandma believes that if you say its name (alacran) one of them will appear in your house the next day. -My grandma believes that if you sweep an unmarried young lady’s feet she won’t ever get married. She used to do that to me a lot. She loved me too much to share me with anybody else. 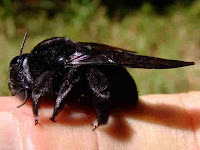 -Abuelita believes that if someone sees a black bee something bad is going to happen to that person. I can go on forever with this list! LOL! Do you believe in bad omens? If you do let me know in the comments! Yay! Love that you enjoyed this, Beth. And you're so welcome! I love the superstitions/omens that you've included! Great review, hun! I don't think I've ever seen a black bee. I honestly didn't know they existed. I enjoyed Omens too. We have a long wait before Visions releases. Oh gosh creepy pics there! O_O I haven't read much Kelly Armstrong but I'm glad that this one worked really well for you! *shudders* at the pictures! Lol. I love Kelley Armstrong she's one of my favorite authors and I have yet to read this book but what I'm seeing from the reviews it's another winner. She's great at character building, especially. Great review, muffin! I love that you include photos and bad omens of your own here! I really liked this author's Darkest Powers series, but I wasn't a huge fan of the crossover one she did--in fact, I can't ever remember the titles, hah. This one sounds promising, though, and I like that it's an adult book. Btw, I thought at first that you didn't enjoy the book because of the one star that's floating under your "review" graphic...I'm glad to see you liked the book after all! I've loved her works since I first read the YA novels and so glad I found her other series she's always been a spectacular writer and this is no different!